In case the application is not made on the correct form, an objection would be raised by the trademark examiner. The statement of the examiner will read as follows: The application is made on form TM-1, for certification mark in respect of goods and services falling in a class, the form of the application should be corrected as TM-4 by filing a request on TM-16. Soon after this, the applicant must file a request on TM-16. The name mentioned in the application must have the names of all partners and must be filed in the name of a partnership form. The same must be filed on TM-16. Whenever a request for a trademark registration is filed by a trademark attorney or an agent, the form TM-48 must be filed and attached accordingly (a letter authorising the agent or attorney). The objection can be rectified when the applicant corrects the application by filing the form TM-16. In case the application has not mentioned the principal base of the applicant, then the objection thus raised would be as follows: ‘The principal base of the applicant should be brought on record by filing a request on TM-16.’ The applicant must correct the objection by doing the aforementioned. The trademark examiner can raise an objection over the large number of goods and services mentioned in the application or to the fact that the list as mentioned is too vague to be considered. 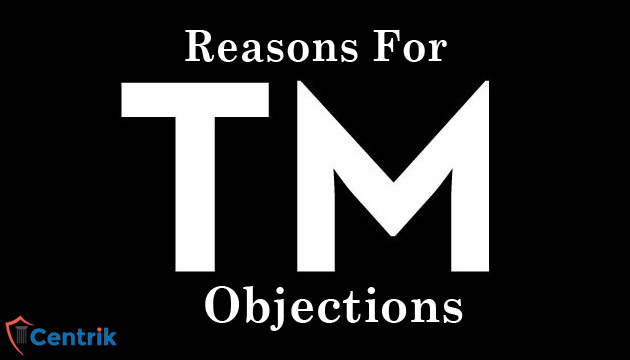 If such on objection is raised, the applicant must file a request on TM-16 to correct the objection and list down the exact items for which the trademark is sought. The examiner can raise an objection if the trademark sought bears any resemblance or similarity to something that already exists. The objection will be raised under section 11(1) of the Trade Marks Act as identical or similar marks in respect of identical or similar description are there on record, and may thus create confusion among the masses. In such a case, the applicant can justify his/her trademark by providing evidence of the same being different from already existing ones. The trademarks which are unable to distinguish the goods and services of one person from those of the other person are said to be devoid of distinctive character, and thus liable for objection (read more here). For the applicant to overcome such an objection, he/she must provide proof that the trademark does have a character of its own, owing to its prior use. An objection can be raised by the trademark examiner if the latter feels that the trademark can deceive the public in terms of its use, nature, quality, and the like. In such a case, the applicant can choose to apply for exemption of goods and services from this specification by filing TM-16.